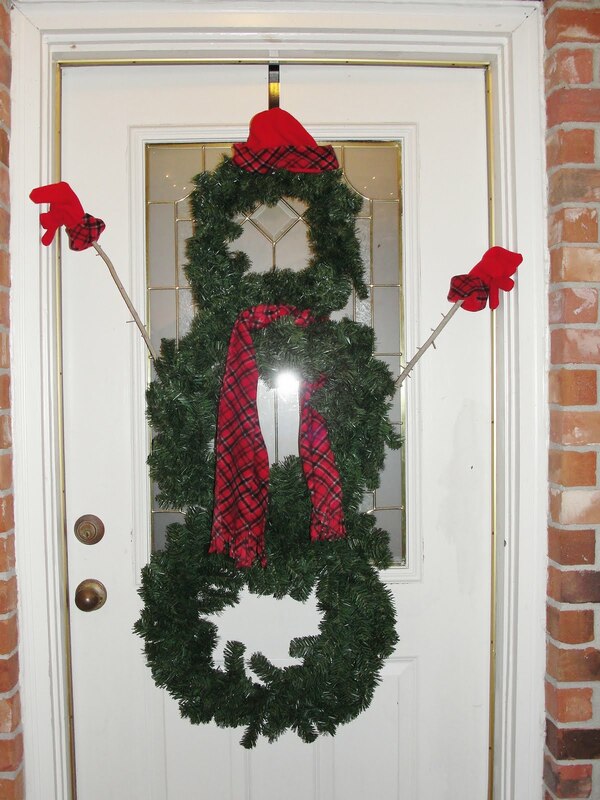 The Sunday after Thanksgiving we put up the decorations and Alexandra actually did a great job this year helping. 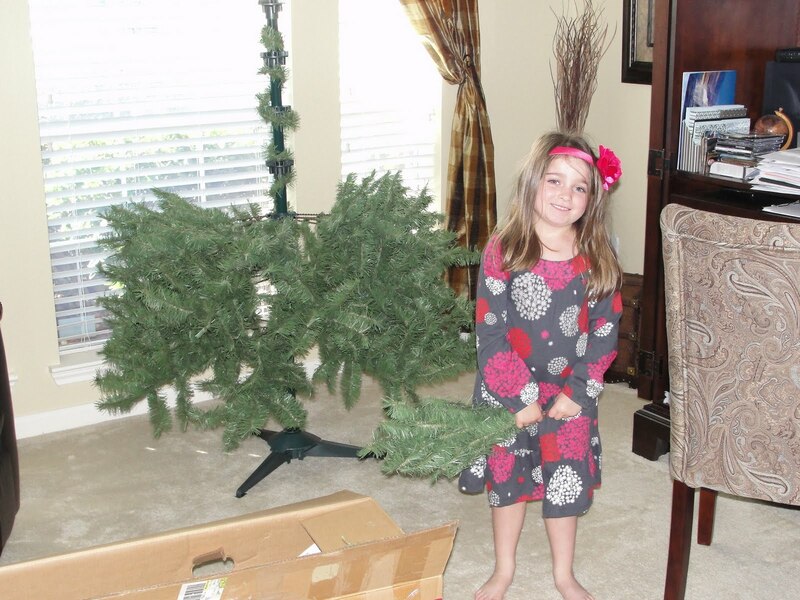 I usually have to go back afterwards and rearrange the ornaments she hangs because they’re always in one spot with several on a branch. 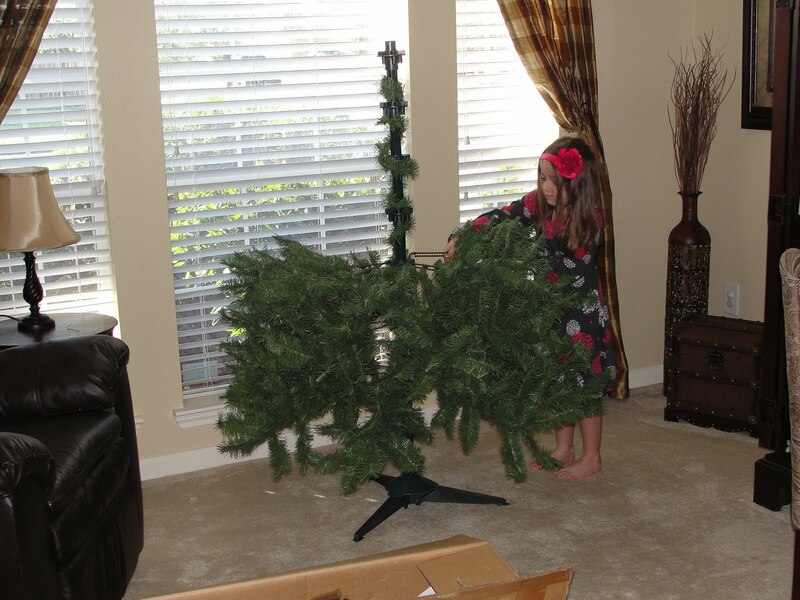 She did great this time – no need for rearranging this year!! 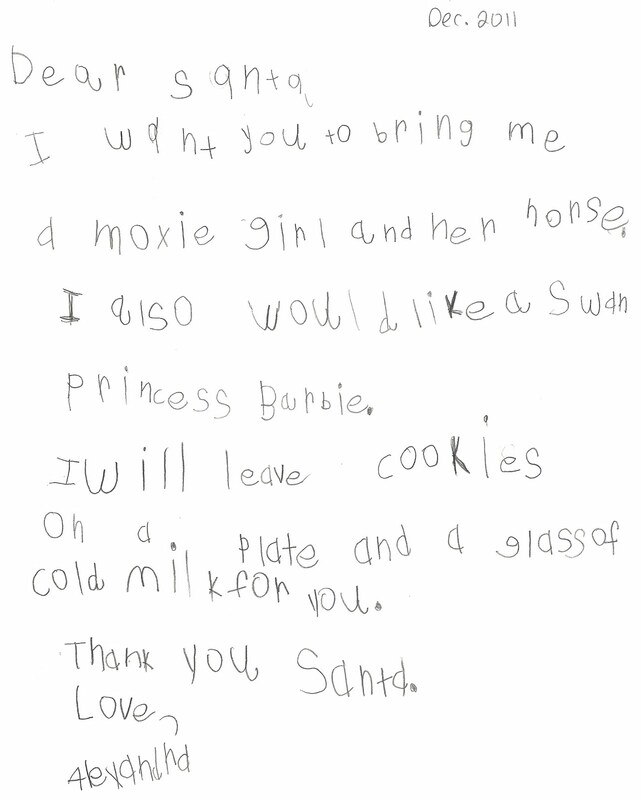 This was her letter she wrote to Santa. 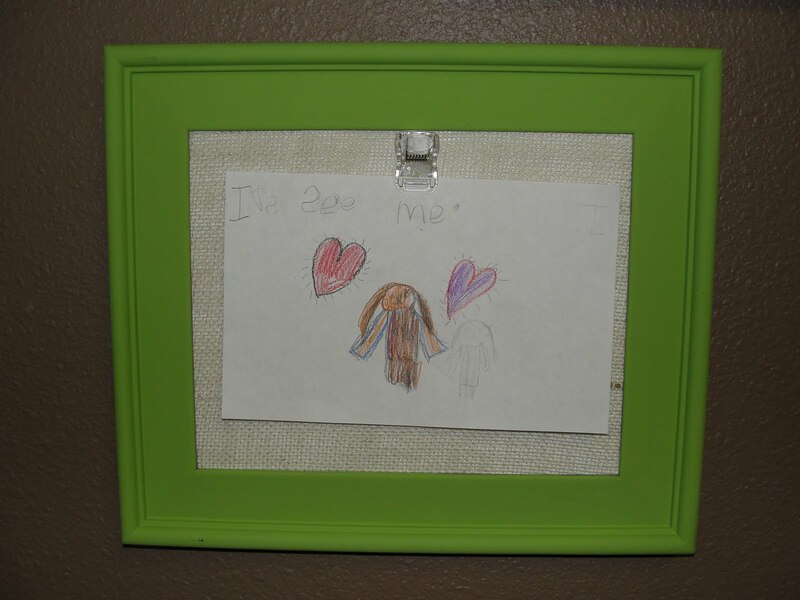 She told me what she wanted to write, I wrote it on paper, and she copied it. 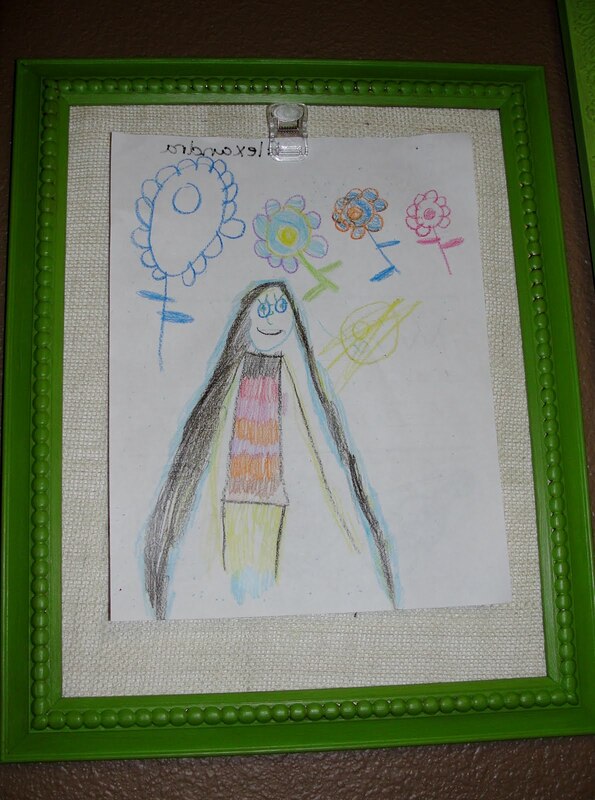 She did pretty good. 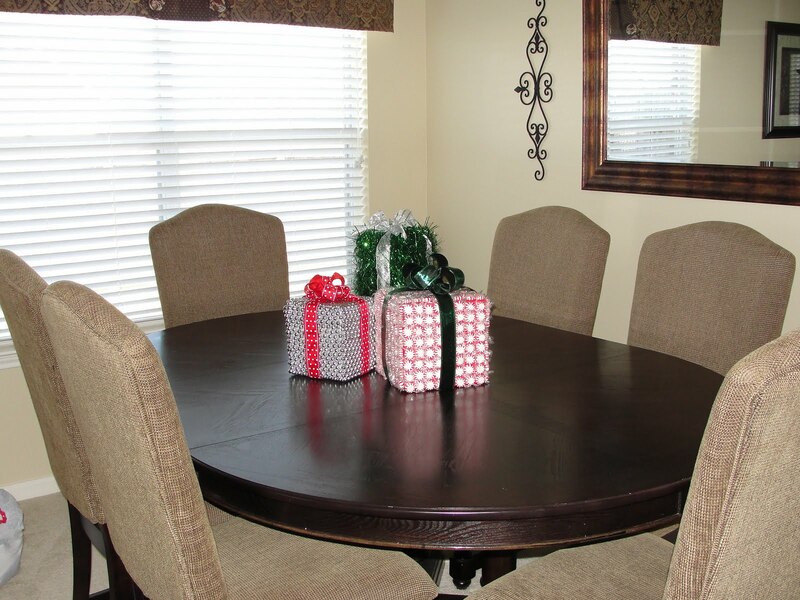 This is our advent calendar we’re doing this year (guess where I found this…of course, Pinterest). 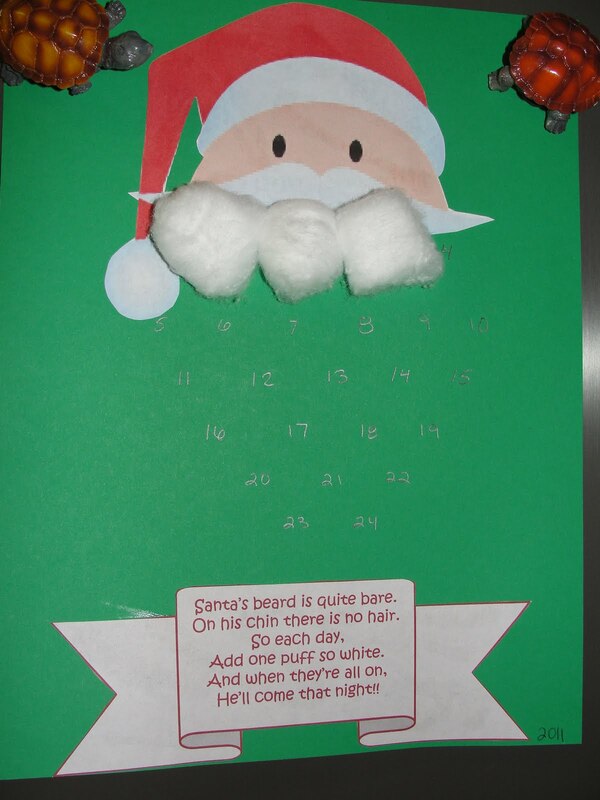 Each day we add a cottonball to Santa’s beard and when its all full he’ll be here!! 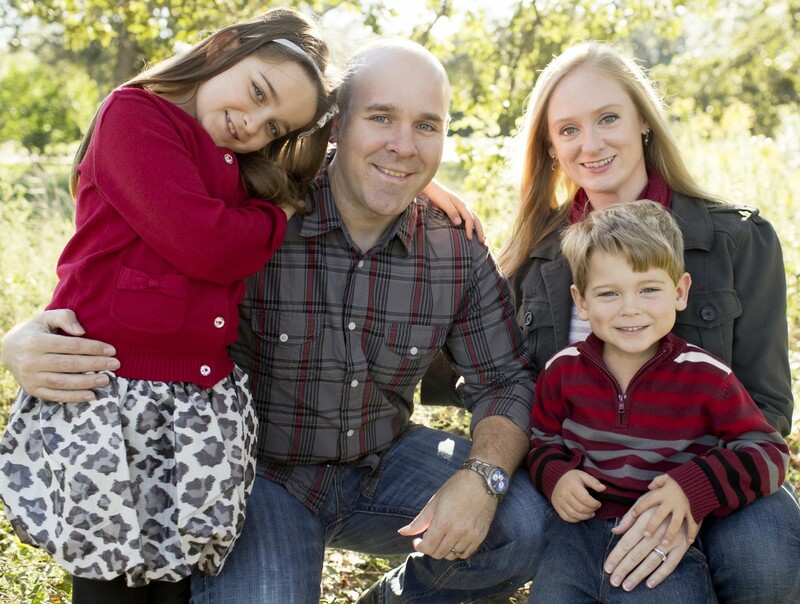 Nevermind the turtle magnets…haha. I just realized it looks like one is trying to eat his hat. 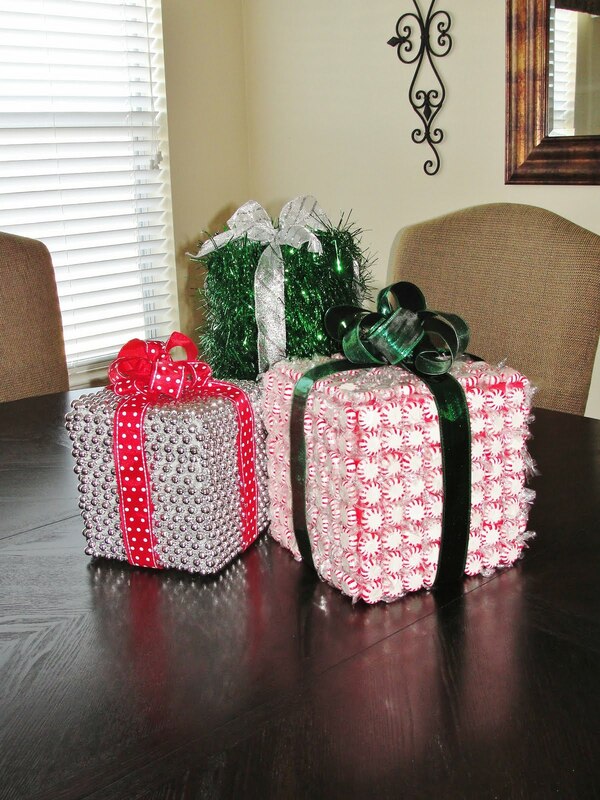 Gift boxes covered in different material. Love these. 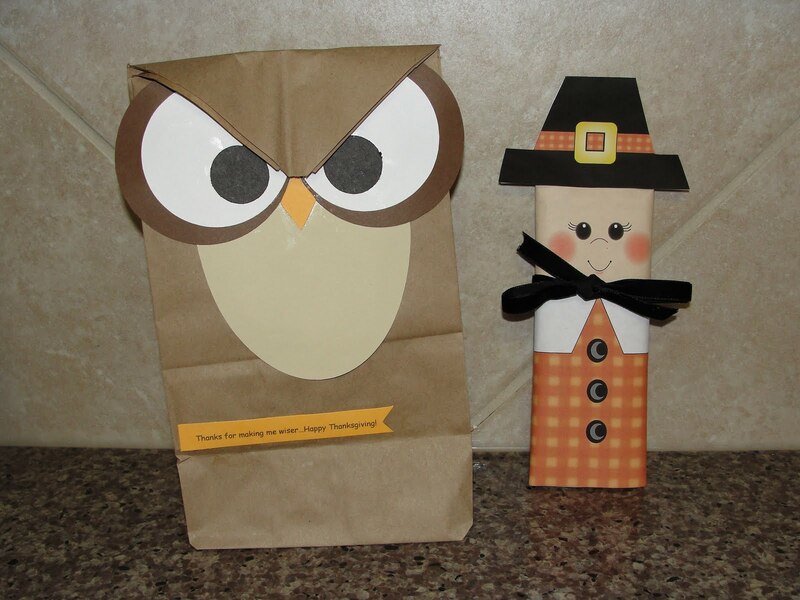 I made owl bags stuffed with brownies and chocolate chip cookies for Alexandra’s teachers and found an adorable pilgrim printable to wrap around a Hershey’s bar for the kids in her class. Alexandra helped briefly until she decided a movie was more fun!!! The sign on the owl says “Thanks for making me wiser…Happy Thanksgiving!!”. 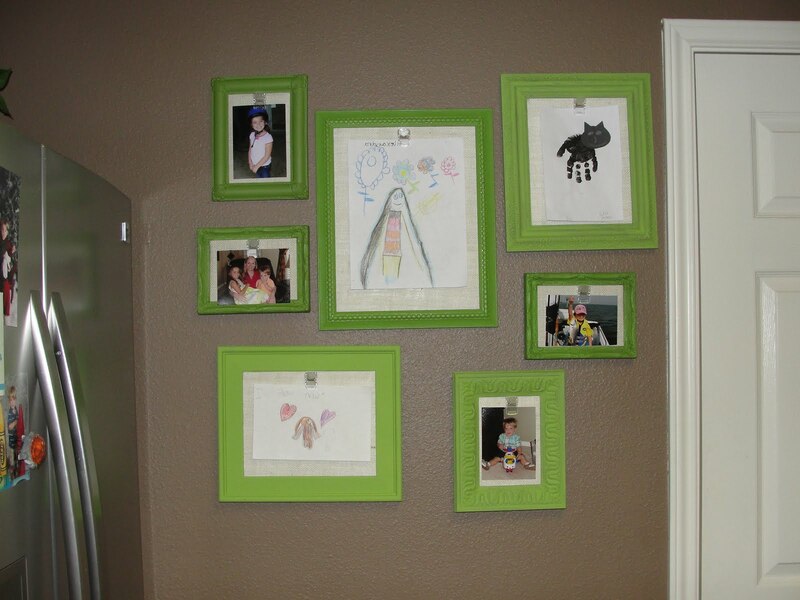 I painted various frames, put burlap in the background, glued clips, and voila….a place to change out and display the kids art and cute pics. 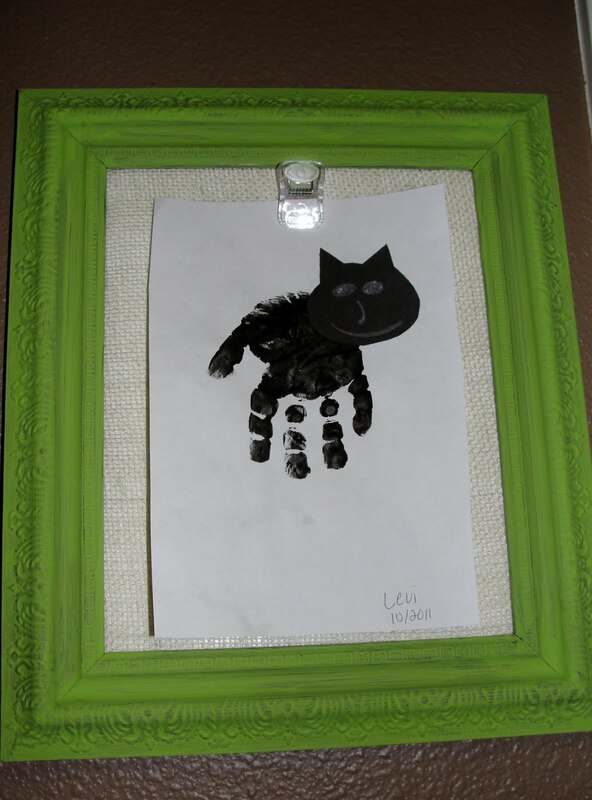 Levi’s hand print Halloween cat.